Free 3D Printed Inductrix & E010 Frames and Upgrades! Here at Half Chrome Drones we’ve become fans of the Tiny Whoop movement. Living in the Chicago area in the winter months can be painful for a lot of reasons, not the least of which is that the sub-zero weather pretty much brings outdoor flying to a grinding halt. As a result, we transition to our next favorite past time, flying indoors. People have been building their own FPV indoor drones for a while, so this isn’t new. Typically there are three good places to start. The first two options are easy, you can start with an out-of-the-box solution like an Inductrix or an Eachine E010C. The third option, if you are a tinkerer, is to build your own from scratch using our 3D printable frame. Read on for more information on our frame design. If you are new to flying FPV or want to learn more then check out our FPV 101 article. It will fill you in on everything you need to know about flying FPV. You can buy the Inductrix FPV all-in-one package for about $200. 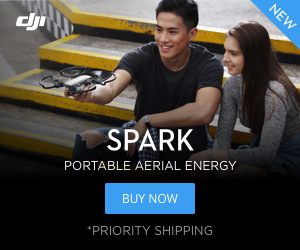 It comes with the drone, camera, monitor and remote. 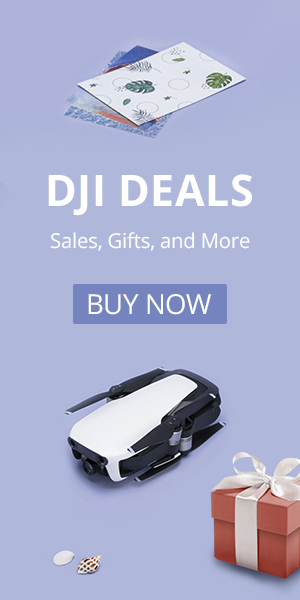 The Eachine E010 is more of a base model and will only set you back about $20. The E010 is the best place to start for a DIY FPV drone. You’ll need a camera and some soldering skills to complete the conversion. Inductrix FPV in yellow and Eachine E010C in red. If you want easy, but don’t want to spend $200, then check out the recently released Eachine E010C. It is basically the E010 with a camera. You’ll still need a screen or goggles, but it is a heck of a deal at around $40. The range is limited, but that can be solved by picking up either a MakerFire Micro FPV or the E010S and pairing it to your own remote. The three options described above are all good starting points, but you’ll probably want to upgrade and tinker with these drones. These drones have three issues: the frames, the motors and the short flight time. But no worries, we have solutions. The Inductrix frame is super light weight but very weak. The Eachine frame is stronger but heavier. You can do quite a few repairs with the special Welder glue we recommend, but eventually, you will have to replace those frames. So we decided to create 3D printable frames that you can download, print and use FOR FREE. We have the Whoop Chrome 3D printable frame that combines the best features of both. Click on the link below to add the file to your cart and again if you are ready to check out. If you want to learn more about this frame before you download it, click here. The duct is flared on both top and bottom. The motor mounts hug the motor with four partial cylinders for a snug fit that can handle 3D printer tolerances. If you don’t have a 3D printer check out this article on how to get things printed for you. The easiest way to make your Inductrix, E010 or Tiny Whoop better is to ditch the inefficient 4 blade propellers and opt for the better 3 blade design. We have seen improved thrust and performance in side-by-side comparison testing. Check out the video below showing you that the 3-blade design creates more thrust than the 4-blade design. Now that you’ve got the frame and props covered you may want to upgrade those motors. You can stick with stock, but that’s no fun. Jump into the Special Sauce motors. The 17500Kv rating makes these drones more powerful and a blast to fly. You may lose a little battery life, but these batteries aren’t expensive. Know that brushed motors don’t last forever, so having a spare set around the house is a good idea. We like the mini JST plugs that are standard on the E010. The standard Inductrix batteries and battery connectors are known to have issues. We would definitely recommend having 5 or 6 spare batteries. We have a dozen. Look for batteries that have a rating of 30C or higher, we get better performance out of 45C batteries. The “C” rating tells you how fast a battery can discharge, so a 45C can deliver 50% more power than a 30C when you need it. You can get our favorited batteries with the link below. If you are a DIY king or an FPV master you might be ready for the BeeBrain flight controller. The BeeBrain is an upgraded version of the Inductrix/Eachine flight controller. It is Cleanflight/Betaflight compatible and can handle more powerful motors than even the special sauce motors. You could start this Bee Brain DIY project from scratch. You’ll need to print yourself a Half Chrome frame, buy some props and motors. Soon you’ll have one of the meanest indoor drones out there. We’ll assume you have a transmitter and goggles. If not check out our FPV article on choosing the right pair of goggles. Now you are ready for some indoor fun. Rain, shine or snow these tiny indoor micro drones are a blast. Don’t forget the extra props and batteries. Happy flying. If you have a Tiny Whoop style drone then you may want to pick up some extra propellers, batteries and other supplies. Whether you are flying an Inductrix, E010 or MakerFire you may want to consider adding some of these upgrades. If you are looking to 3D print frames for your drone check out this article. Click here to enter our Amazon aStore. We’ve sorted through the mountain of different drone accessories to help you find the best fits for your drone. There are a lot of different upgrades and options to add to the fun of your Inductrix, E010 or MakerFire drone.